Look at this! 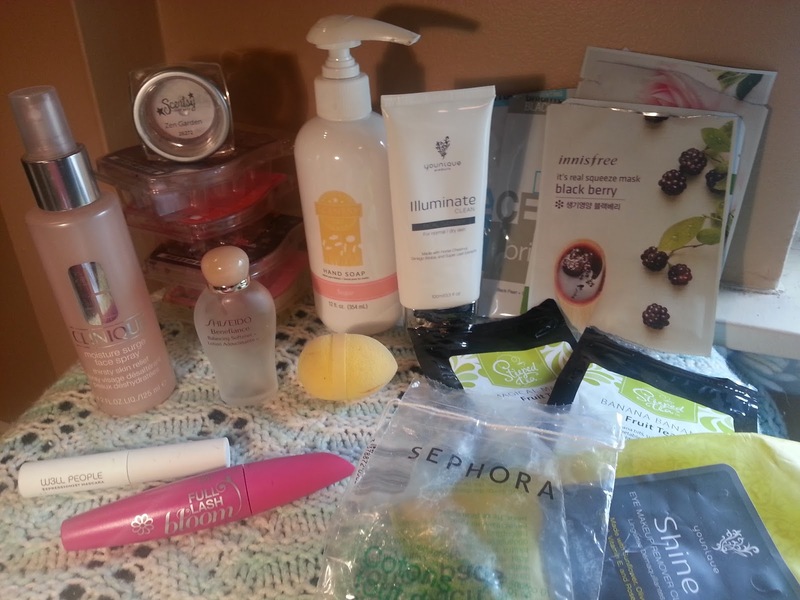 An empties post for ONE month only! Usually I wait and do two months together, but I had a little pile growing, and I felt like I needed to get rid of it and not have it sit around for another month. I think I made a decent dent for a month. Hopefully March is just as successful! I'm so glad I got quite a bit used for the month! Let's take a closer look at everything! I love Scentsy's hand soaps. They actually discontinued their older style bottles and made these ones, and I have to say I like these ones more! You get a lot more product and it's easier to get out, and I noticed you use less because it doesn't dispense a whole handful in one pump. I'll definitely repurchase these. These scents are all a part of the regular Scentsy wax line up, except for Zen Garden. 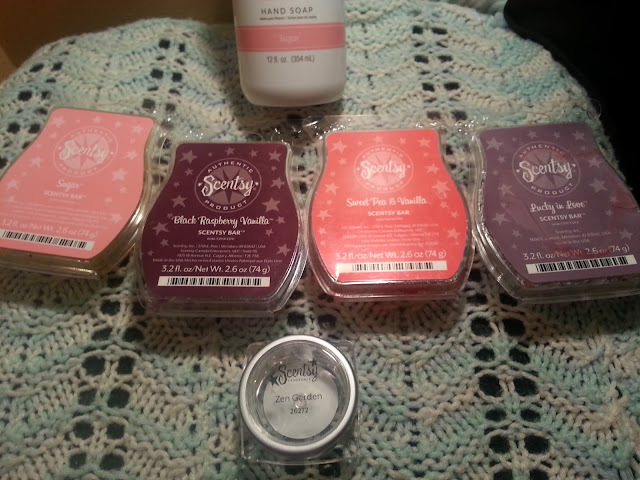 They all smell great and I'd have to say Black Raspberry Vanilla and Lucky in Love are my two favourites. Again, I have a huge stash and I've been trying to pull some out every few weeks to use them up. There are some new exciting scents coming out tomorrow and I need to make way for new scents! The rose mask actually smells like rose, but the blackberry masks doesn't have a scent at all. These masks are thin and I have to be very careful not to rip them every time I use them! Both are soothing and relaxing, but I prefer the rose mask between the two. I noticed my skin was more hydrated after using it. I think this is from a Birchbox. 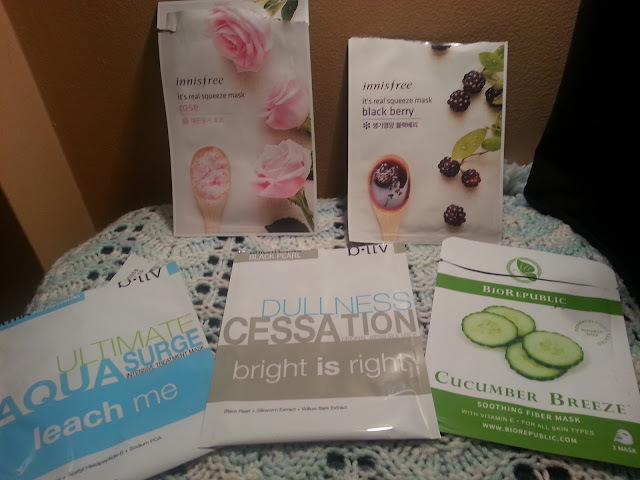 I like how it soothes my face, but these are way out of my price limit for sheet masks. I really like both of these masks. They also come with a thin film which makes it much easier to open the mask up. I do find they are easy to rip as well so you have to be careful. My only complaint about these is that they have way to much essence in the package. Like I have to squeeze the mask as I'm taking it out of the package, and it's still dripping with essence. Even after putting it on my face, it drips off of the chin area. Other than that, they are both very moisturizing, and I find my skin looks less dull and red after using them! I have a feeling I put this in another empties post, when I actually finished up the product. I ended up keeping the bottle and putting water only in it, to use as a mist on my face when it feels dry. I ended up purchasing toner waters from Lush that I like more than plain old water, so I decided it was time to toss the bottle. I liked the original moisture surge face spray, but I don't think I would repurchase it, although it lasted a LONG time. More then I would like to admit. I purchased this back last year (January 2015) in hopes to find a Beauty Blender dupe. I had never tried the BB back when I bought this so I figured a $7 sponge would be good enough if it was the same! Yeah, it's not the same. 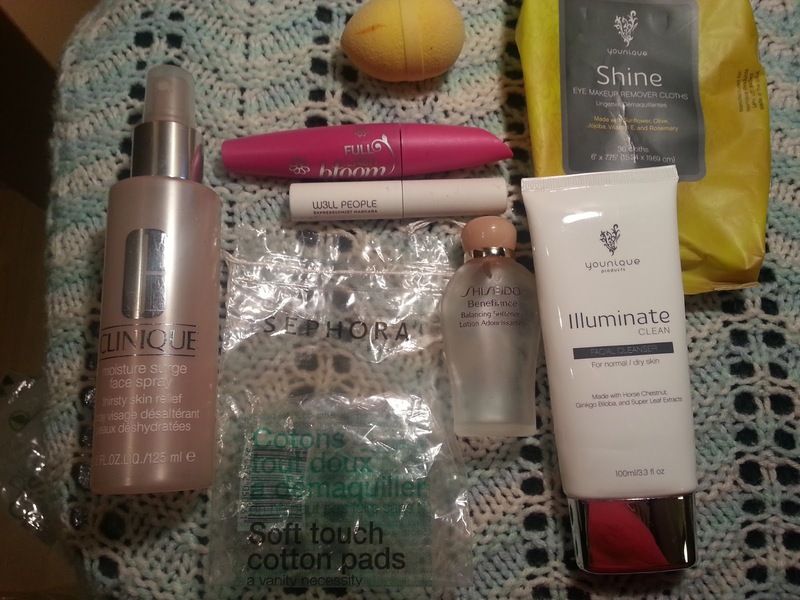 I ended up getting a BB from Birchbox and they don't compare at all. The Sephora sponge is a lot more dense and definitely does not get as soft or airy as the BB, especially when damp. This just was not a good sponge. I got this for free in a BzzAgent campaign (I believe - or maybe it was from P&G, I don't remember now) anyway, I picked this one because I liked the original lash blast, and thought I'd give this a try. It's supposed to provide length and volume, and I didn't really get that with this mascara. Length, yes, but no to the volume. I wouldn't repuchase this because there are a ton of other mascaras that I have and prefer over this one. I was not a fan of this mascara at all. I think I used it twice and then it sat in my makeup bag for months and months. This is being tossed because it's old and it began to smell. I wouldn't repurchase this. We've seen these before in a previous empties post. I like how they aren't super wet, and they are more of an oil remover wipe. They are gentle, but I find you do have to go over your face a few times to get the makeup off. I use these before washing my face with cleansers. I do love how moisturizing they are. I already have a full pack waiting to be opened, so I won't be repurchasing any time soon. I generally only buy these to help out friends, because they are pretty pricey. Another empty we have seen before. These are just your general run of the mill cotton pads. Great for removing nail polish, applying toner, removing eye makeup, etc. These are pricey at $5 a pack, and I only really buy them if I need to add something to my cart to make up the free shipping. I just got a few packs from Walmart for like $2, so I won't be repurchasing these any time soon. A gift with purchase, from many many many years ago. Again, I don't want to say how old this is. But I love how soft it makes my skin look and feel. It's really a great product. I use this in place of a toner some times and it just makes my skin feel so moisturized. I'm not sure if they still sell this or not, but I would consider repurchasing a full size of this in the future. Again, another empty we have seen in the past. This is a creamy cleanser. I was really enjoying this, but as it got to the end, it turned into a soupy mess. I'm not sure if water got into the package somehow, or it went bad somehow, but it was no longer creamy. I do like this cleanser because it does a great job at removing makeup when I do wear it, but it is pricey. I have a ton of cleansers I need to get through before I consider repurchasing this. 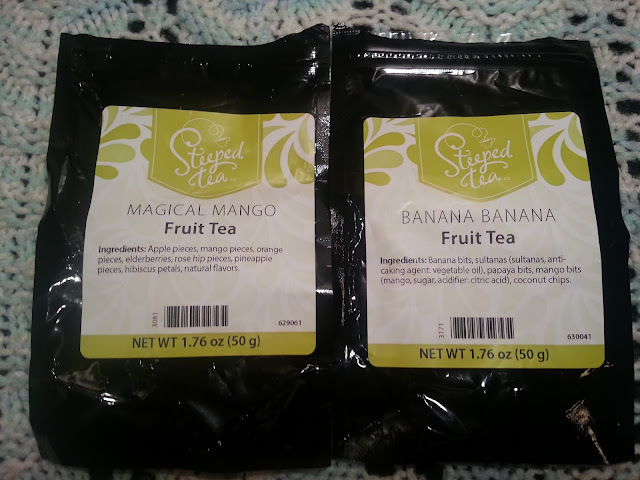 I'm not big on drinking tea, but I decided to help a friend out and had ordered some teas. I wouldn't say the magical mango tastes much like mango at all. I ended up mixing the two together and making iced tea and it was good! I've already purchased a few, and I will probably buy some more different flavours in the future! Shop Online at beautyBOUTIQUE™! Earn Optimum Points + Get Free Shipping on Orders Over $75. Those teas look yummy! I want to look for alternatives to david's tea! Great job finising so many items. 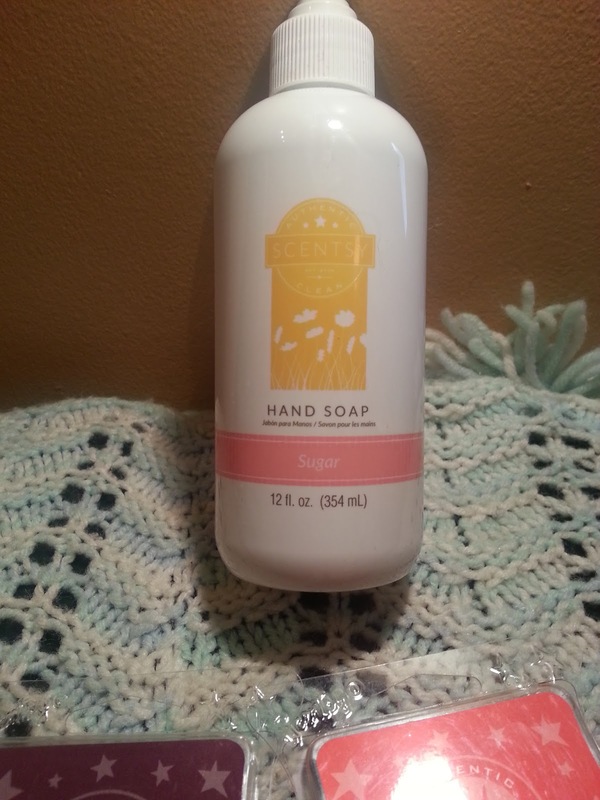 The hand soap is sooo cute haha!